Faith Aloud is here to listen. Here is a memory: I was maybe 12 years old (that’s not the distinct part), and over dinner one night, my mother asked me if I thought abortion should be legal. I remember looking away, then at my plate, and then replying that yes, definitely. What I knew about abortion at the time was that it was a way to get un-pregnant, and it seemed to me that a thing that could undo a state you didn’t want to be in was a very good idea. I grew up as pretty low key Jew. We celebrated Hanukkah, sometimes lit Shabbat candles, I went to Hebrew school until I was eleven, when I quit because the other kids, who lived in the nearby wealthy suburb, were perversely mean. We didn’t go to synagogue, mainly because it was expensive to join, and my mother was a single parent, and although my mother was openly spiritual, we didn’t live a life based on Jewish law. I didn’t really become observant in anyway until after my mother died, when I was in college, but even then, there were some things I never felt religiously, or otherwise, conflicted about, and that included abortion. I knew people who questioned the morality of abortion – in high school, a close friend and I had long arguments about it on a yellow legal pad, which we passed back and forth during class. To me, it always seemed to be a matter of autonomy. God had nothing to do with it. For her, God didn’t want people to murder babies. Later, I realized that while she talked about God, she was also deeply attached to the belief that all people with vaginas want babies and should have them (my childfree life continues to horrify her). These days, I identify pretty intensely as a secular Jew. When I was observing (keeping kosher, going to synagogue, learning Torah, etc), I did experience a certain amount of gratitude knowing that abortion was permissible according to Jewish law (with some exceptions). But the thing is, if I’d gotten pregnant then, I would have had an abortion even if it wasn’t. That’s how entrenched the notions of choice and bodily autonomy have always been in me. She might not have realized it, but my mother raised a kid whose religion was reproductive rights. In spite of having a pretty solid record of voting pro-choice, Judaism isn’t one hundred percent excellent at being supportive of folks who have abortions. There’s a distinct lack of dialogue about the abortion stories of actual people in Jewish spaces. We train rabbis to emphasize the importance of genetic testing, but not offer counseling or advice about abortion if genetic testing renders catastrophic results. Given that these are the realities in most Jewish communities, where would a Jewish person, or any person of faith, go if they needed to talk about abortion – their own, their partner’s, or someone else’s? 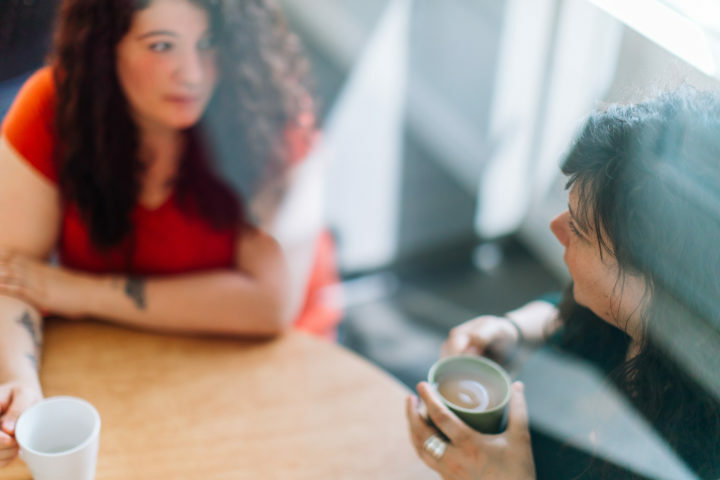 Faith Aloud, a free clergy counseling hotline, is a project of All-Options, a full-spectrum resource for folks looking for support around pregnancy, parenting, abortion, and more. When you call Faith Aloud (1-888-717-5010), you’ll be connected with someone who you can talk to about pregnancy options, including abortion, from a faith perspective. Maybe you’ve been told, as many have, that you’re supposed to feel guilty and be forever damaged by having an abortion, and that hasn’t been your experience. That’s something Faith Aloud can help you process, too.